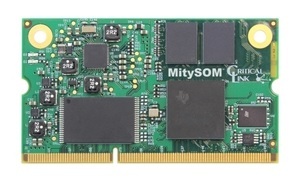 The MitySOM-335x family of system-on-modules feature a Texas Instruments Sitara AM335x Processor. 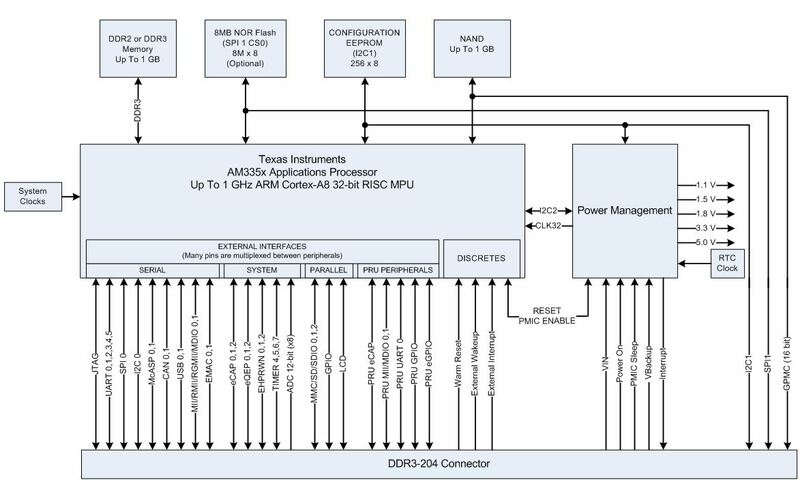 The modules include NAND FLASH and DDR2 or DDR3 RAM memory subsystems, providing a complete and flexible CPU infrastructure for highly integrated embedded systems. 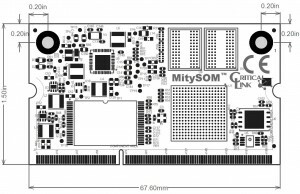 The onboard AM335x processor provides Cortex-A8 32-bit RISC processor with a NEON SIMD coprocessor and optional 3D graphics accelerator. 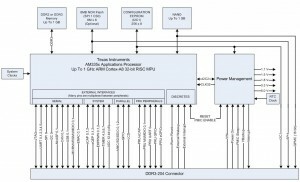 This MPU is capable of running a rich set of real-time operating systems containing software applications programming interfaces (APIs) expected by modern system designers. 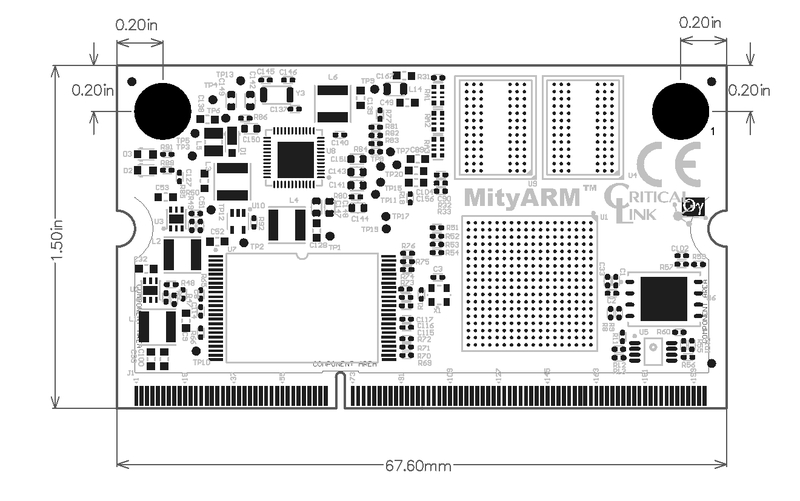 The ARM architecture supports several operating systems, including Linux, QNX, and Windows Embedded Compact. 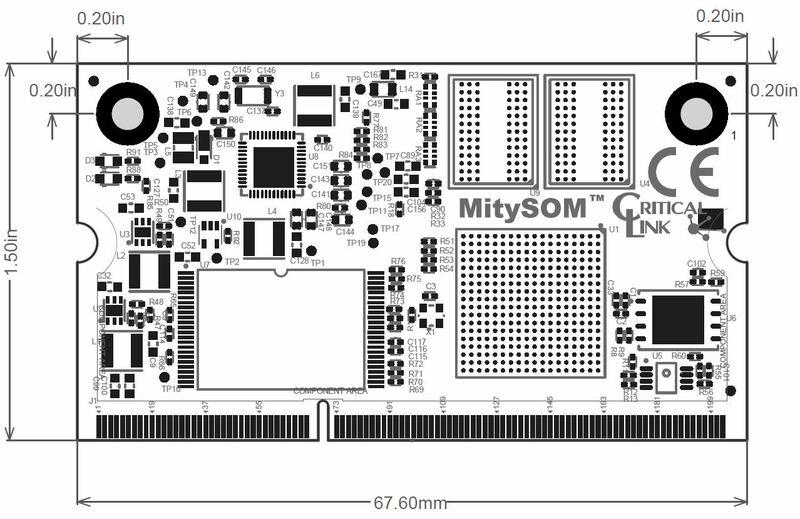 Critical Link’s MitySOM-335x family of modules uses Texas Instruments AM3352, AM3354, AM3358, and AM3359 processors. 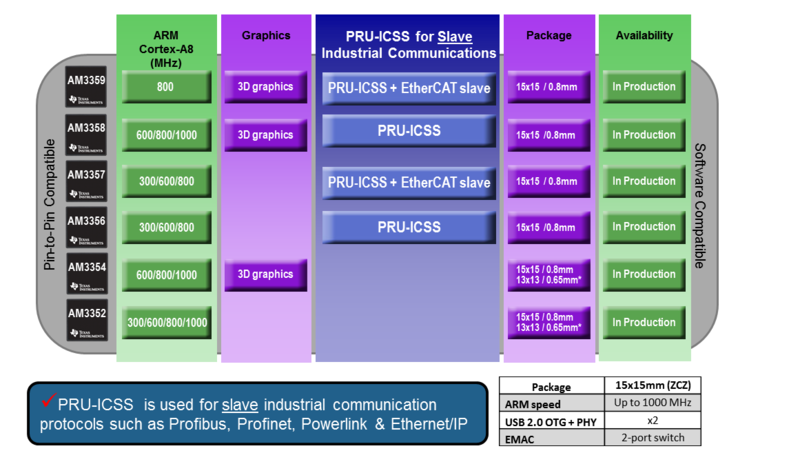 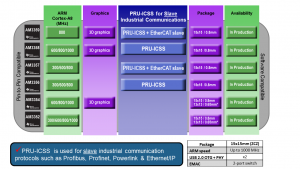 Click the diagram below to view the differences between these processors.